Jeff Crupper of Taco Jesus is from Largo Florida, I have seen them a lot on social media and had never had the chance to try them. Now that I have, I will definitely be getting more of their products. I am totally impressed in their quality and flavor. They have fast become one of my favorite go to hot sauces. 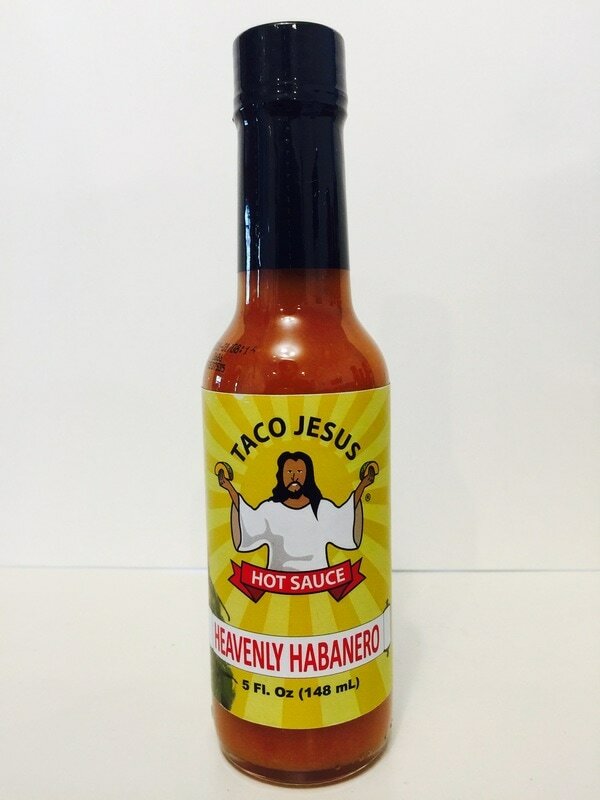 I also love their marketing, as they have some of the cleverest and unique items to represent Taco Jesus. Check them out at www.tacojesus.bigcartel.com Great job Jeff! SALSA VERDE from TACO JESUS.. Garlic, onion, jalapeño, vinegar and a pinch of salt, is what you will get in this awesome tasting hot sauce. I fell in love with this at first bite. The flavors of the onion and garlic stand out and add to the flavor of the jalapeño in a way that makes this an excellent every day table sauce. Rich flavor with just a little tang from the vinegar helps make this a perfect addition to any meal. 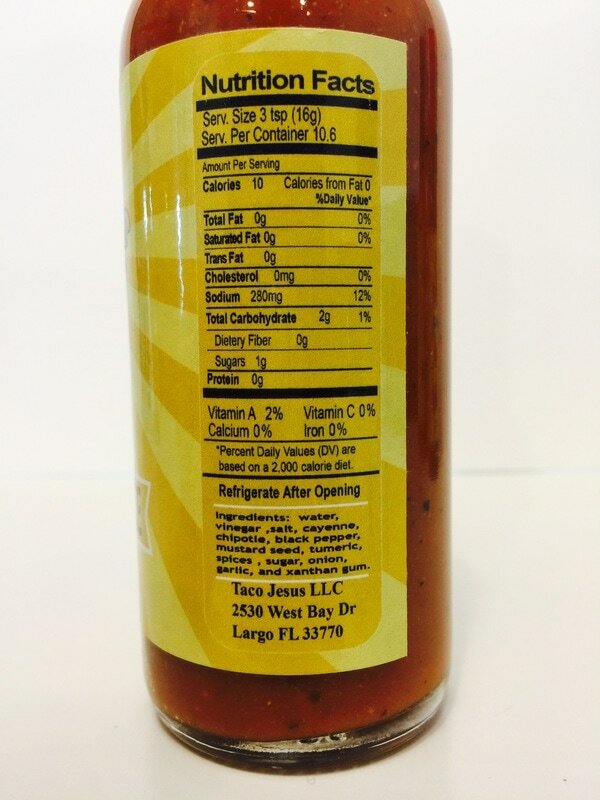 A mild heat so everyone will enjoy using this fantastic sauce! 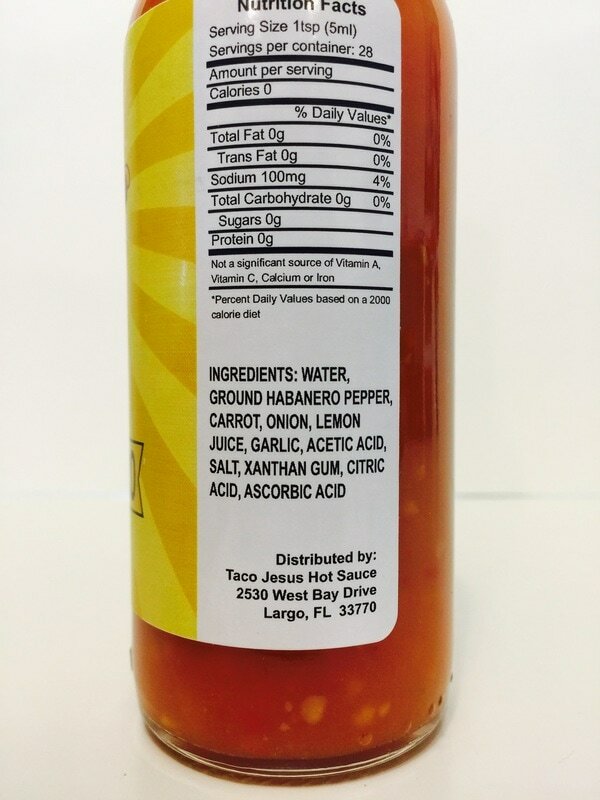 GARLIC HABANERO from TACO JESUS.. Chunks of garlic, more garlic, habanero, carrot, onion, a little citrus from lemon juice (no vinegar) and a little salt makes the flavor profile of this sauce. Everything I really love in a hot sauce are found right here. Nothing over or under done, just a perfect medley of flavors. I will use this sauce on everything, its just that good! HEAVENLY HABANERO from TACO JESUS.. This is very similar in flavor with the GARLIC HABANERO but with a lot less garlic and a lot more scotch bonnet habanero flavor and heat. 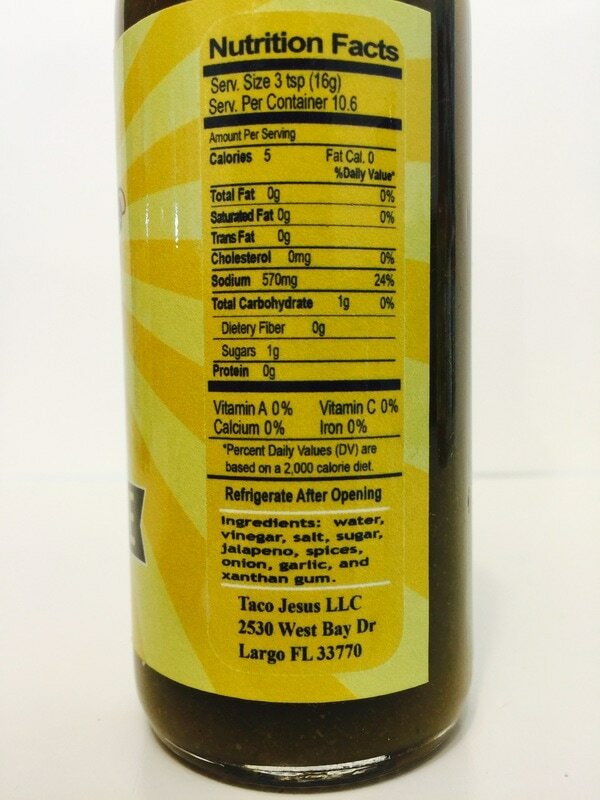 The blend of flavors in this worked great on eggs, chicken, vegetables, tacos and so much more. I can see how everyone loves this sauce. 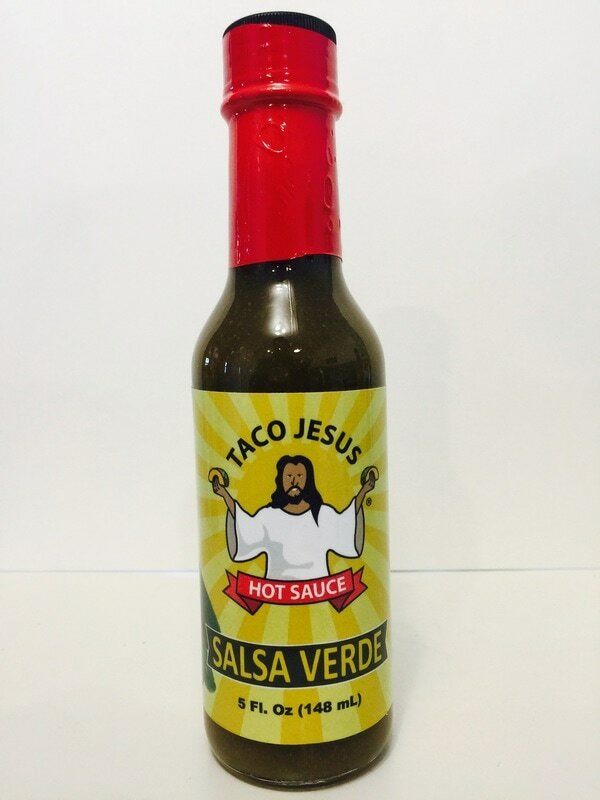 Another fantastic hot sauce from Taco Jesus. 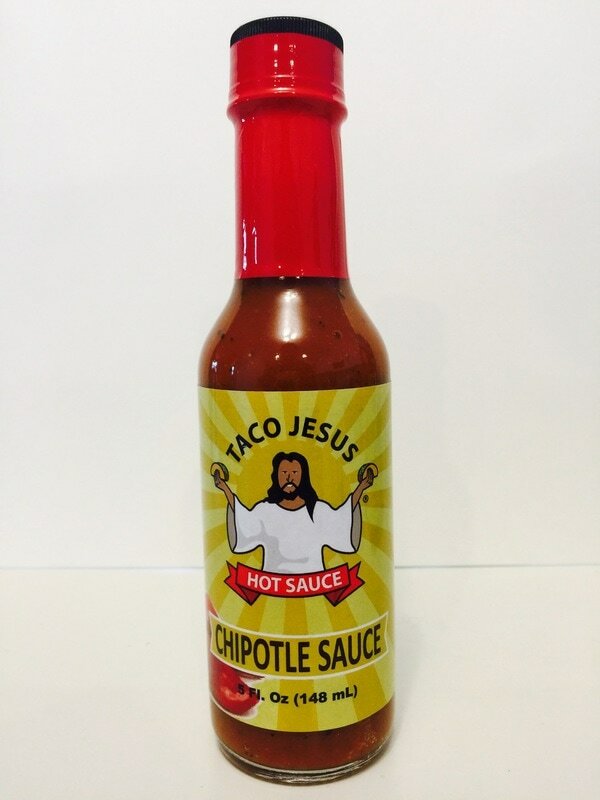 CHIPOTLE SAUCE from TACO JESUS.. 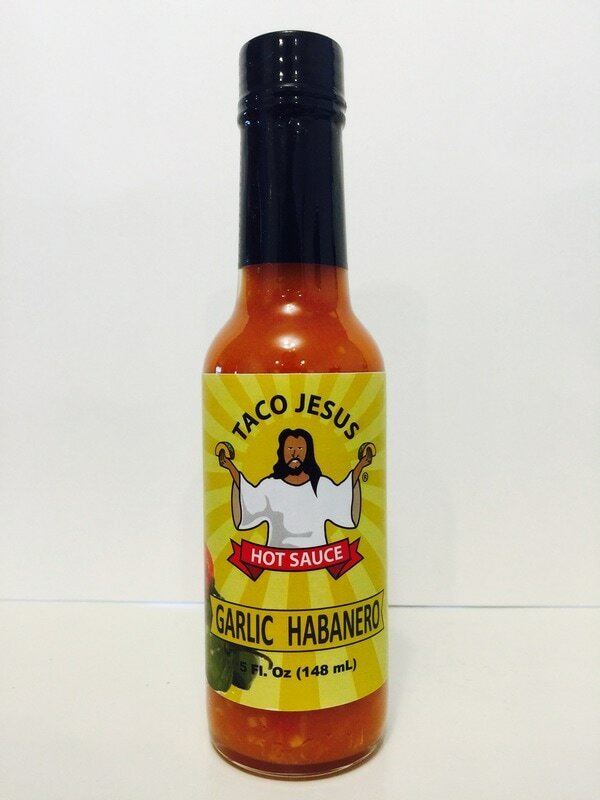 Yet another winner from Taco Jesus! This is a smokey chipotle pepper taco sauce with slight hits of black pepper, cayenne, mustard seed, turmeric, onion and a little sweetness from sugar. These last ingredients hang in the background and add to the flavor of this sauce in just the right proportions without coming to the forefront. I love how the flavor will linger on your taste buds making you want more. 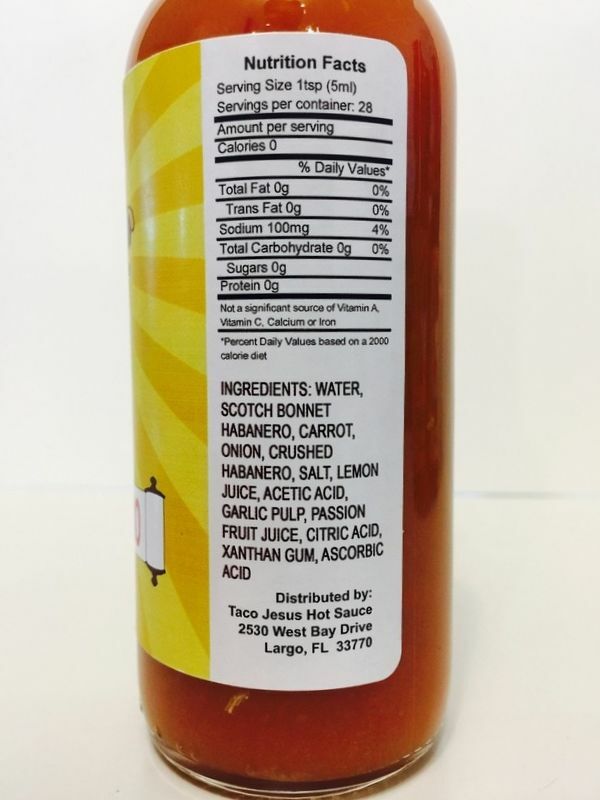 If you're eating tacos or Mexican cuisine, then this is the sauce to reach for. I also used this on omelets and hash browns to give my breakfast a south of the border flavor.